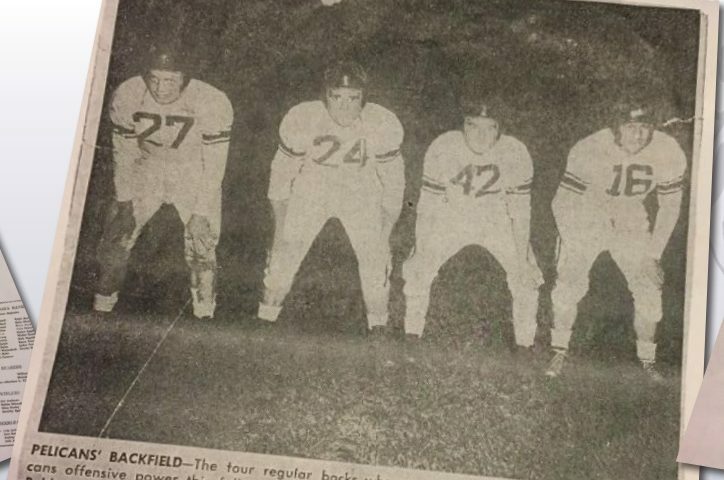 The year was 1946 and Manasquan High School was rolling through the football season, led by a gritty, hard-working fullback by the name of John Geiges. The senior, who wore #40, along with backfield partner, Alfred Morgan, eventually led the Warriors to a Central Jersey State Championship. Playing on both sides of the ball, John Geiges had a reputation for being able to take and give hard hits. A life-long Brielle resident, John Geiges, looks back now and knows that he is blessed. Blessed by a wonderful childhood on the river, blessed by a successful athletic career from high school to a semi-professional ball, and ultimately blessed by his family. I am fortunate to live nearby this living legend- but don’t ever let him hear you say those words! John Geiges is one of the most humble human beings that you will ever meet, this article was something I had to persuade him to take part in. Throughout my interview with Geiges, the words that kept coming up were; grateful, thankful, lucky and fortunate. 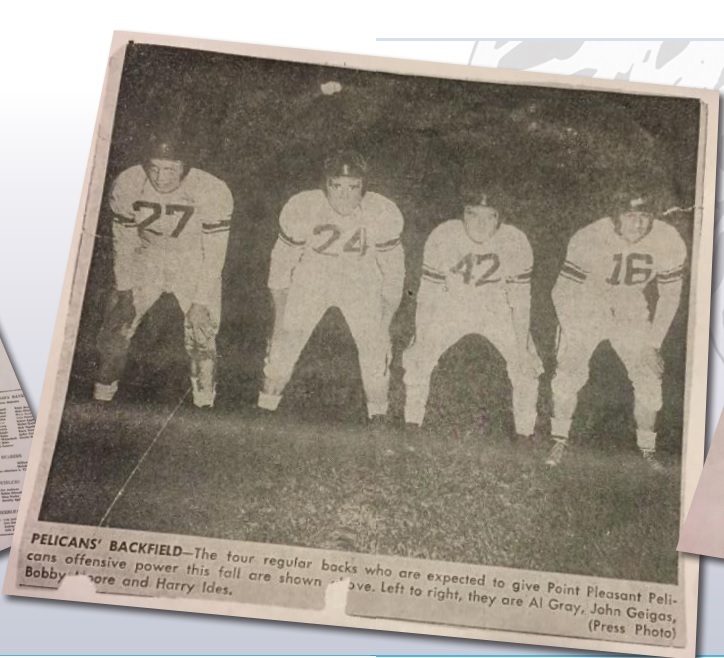 After graduating Manasquan HS in 1947, following a very successful career in both football and baseball, Geiges was awarded an athletic scholarship in football to Rutgers.This opportunity was appealing to him because he could continue his playing career while getting an education close to home. “World War II had just ended, and a lot of GI’s were back home and ready to get back to classes and football….Rutgers had guys that were 25, 26 years old and they were a lot bigger than I was.” The staff at Rutgers knew that they had a gem in Geiges, but with such a large roster they told the eager 18 year old to enroll in Admiral Farragut Academy for a year and then come to Rutgers. During that year at Farragut, Geiges suffered a serious knee injury and was told he would never play again. “When I hear that I would never play football, the kid in me said why should I go to Rutgers if I cannot play football?” Admittedly he was very disappointed but called upon the words of his former coach to get him through this difficult time. .
“Coach Granville Magee (Manasquan HS) was one of my favorite and one of the best coaches I ever had….” said Geiges, “...... Coach Magee was a big influence on me and instilled a lot of confidence in me and this I carried with me through my life especially when I was unable to continue the sport I loved to play.”Fortunately for Geiges a comeback was made possible when he starred for the Point Pleasant Pelicans in the Jersey Shore Football League. In the two years he was on the squad, the Pelicans finished in first and second place in the league.